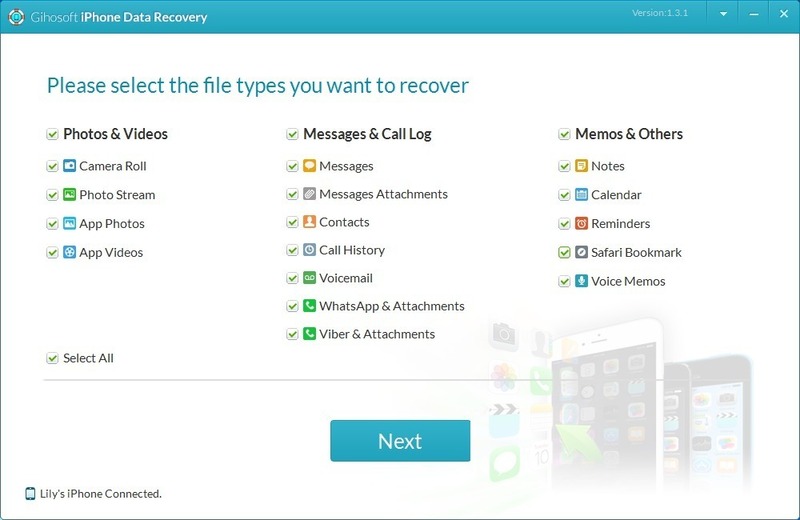 Easy to use data recovery for iPhone. Is there a better alternative to Gihosoft iPhone Data Recovery? Is Gihosoft iPhone Data Recovery really the best app in File Management category? Will Gihosoft iPhone Data Recovery work good on macOS 10.13.4? Gihosoft iPhone Data Recovery is an excellent data recovery software for iOS users. It can recover up to 16 types of files from iOS device or from iTunes backup. The program will do its work efficiently and precisely. Save your data as well as your time. Gihosoft iPhone Data Recovery needs a review. Be the first to review this app and get the discussion started! Gihosoft iPhone Data Recovery needs a rating. Be the first to rate this app and get the discussion started! Support more than 20 models of iOS devices, like iPhone 7/7 Plus, iPhone 6S(Plus)/6(Plus), iPhone 5S/5C/5, iPhone 4S/4, iPhone 3GS, iPad Pro/Air/Mini, iPod touch 5/4, etc. The easy-to-use interface will guide any computer users through the recovery procedure in 3 steps: instant connect, fast scan and perfect recovery. Separable preview and easy export. Users are allowed to preview recoverable files, which are marked with distinct color or special icon. So it is easy to tell deleted/lost data from those existing. After recovery, users can export, read or print text files conveniently.